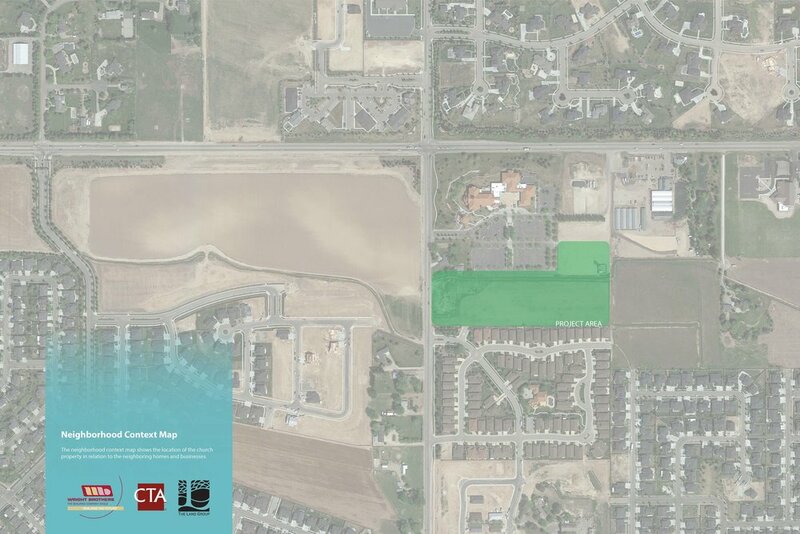 St. Ignatius Catholic School — The Land Group, Inc. The Land Group helped to provide 21st century learning environments for St. Ignatius School with agile site circulation and an environmentally responsible building and site plan integrated into the design. Additionally, this plan offers multi-functional outdoor spaces that are adaptable to users’ needs. Some have fixed outdoor furniture for teaching or dining purposes while others have only sod, which encourages users to be creative about the space for their needs. The school is environmentally responsive, placing priority on natural daylight, energy-efficiency, the creation of healthy spaces for learning and teaching, and reduction of life-cycle costs. The plants used for this project are mostly drought tolerant, and are sustained by a drip irrigation system which can reduce water usage significantly. A vegetated boulevard provides a strong connection between the existing Catholic Church and the school site. The design style of the school building echoes the style of the existing church which, along with the physical connection between the two, creates a harmony in the full design. 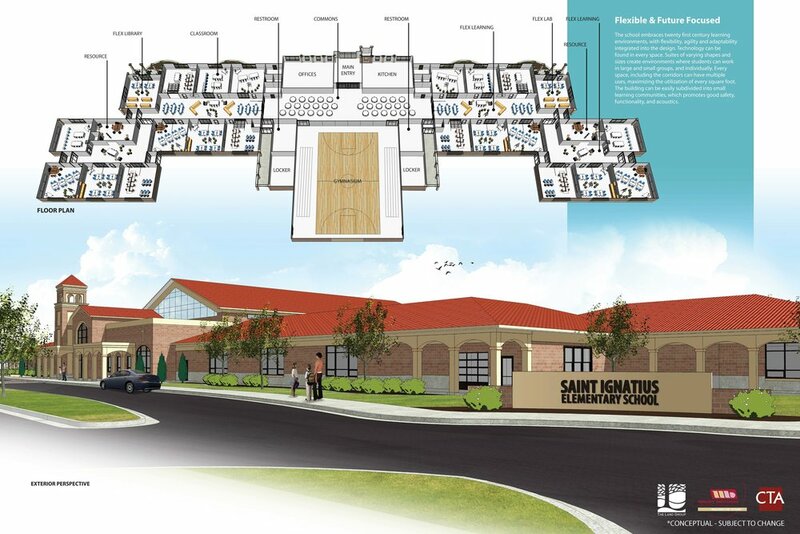 St. Ignatius Elementary School is the first catholic elementary school built in the last 50 years in Idaho. It is currently under construction and will open in Fall 2017.